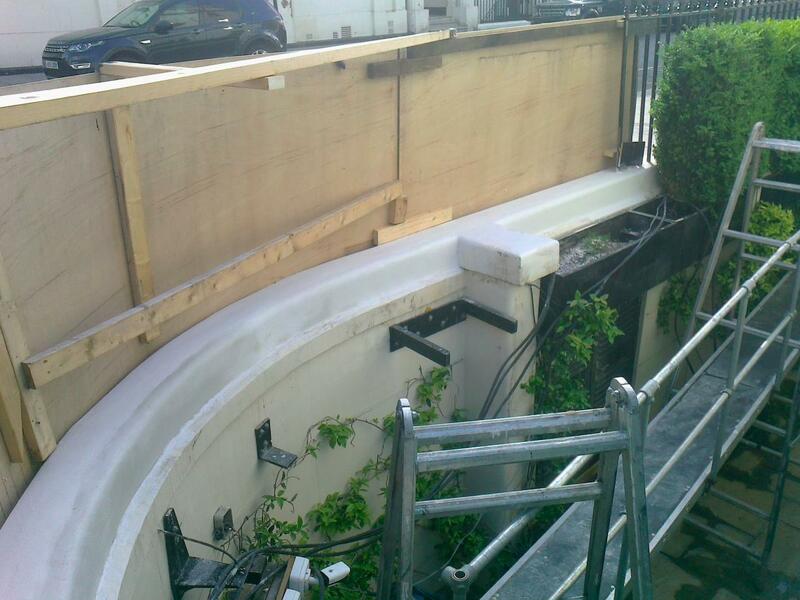 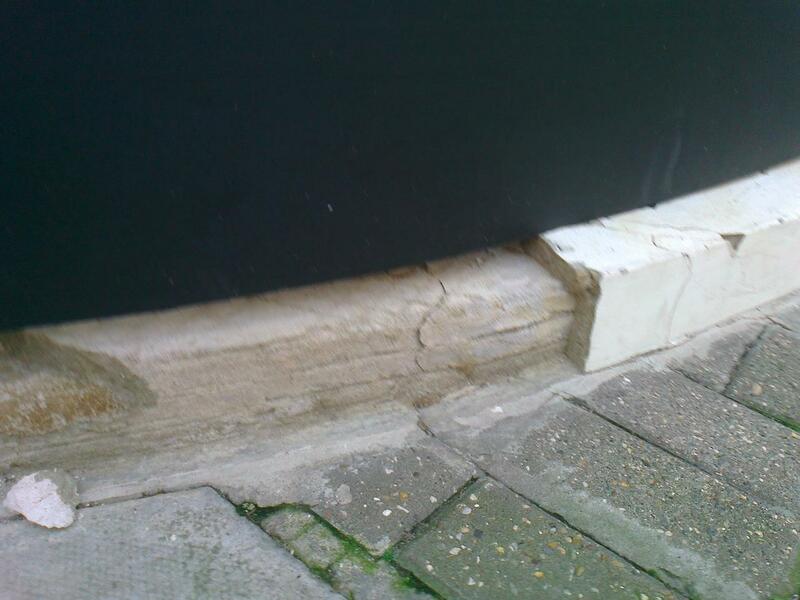 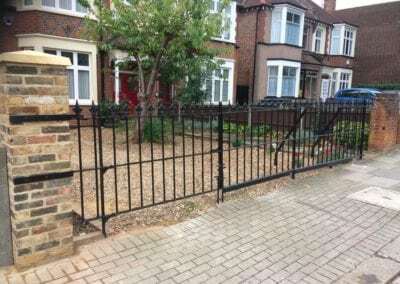 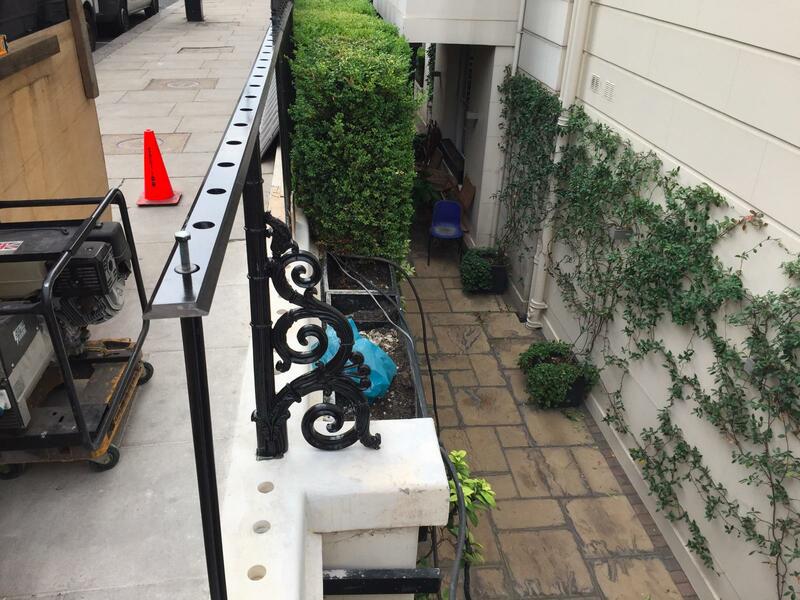 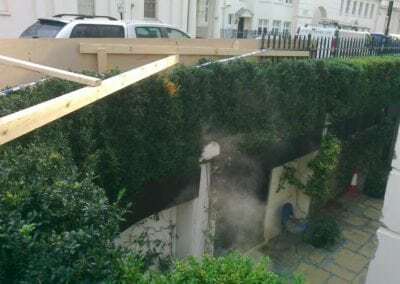 We removed the damaged railings and planters which had been hit by a vehicle and took them to our workshop. 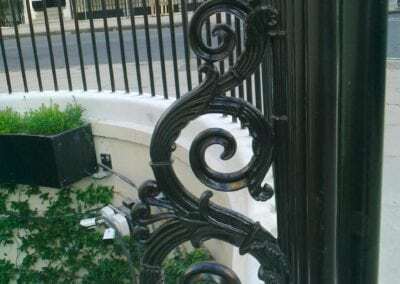 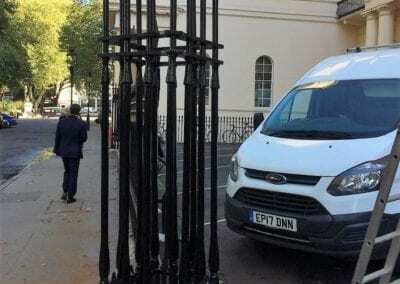 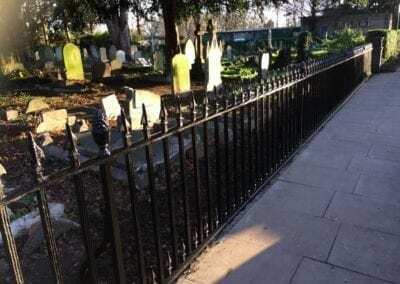 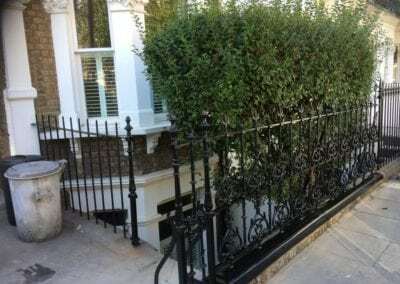 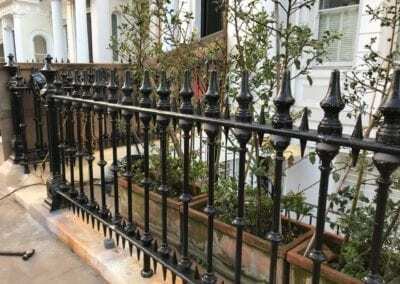 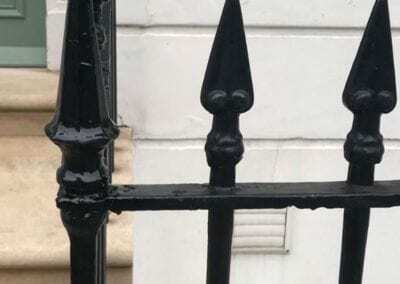 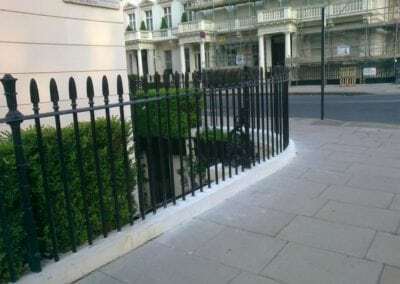 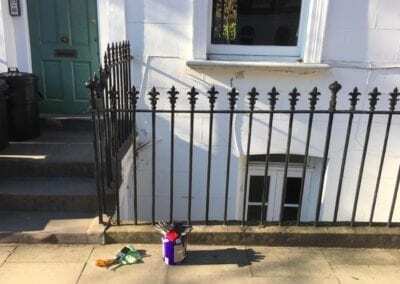 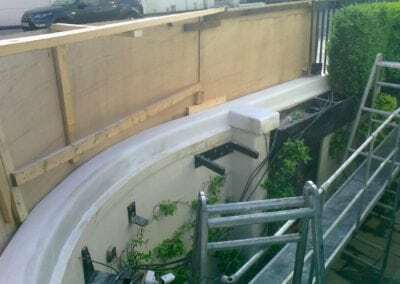 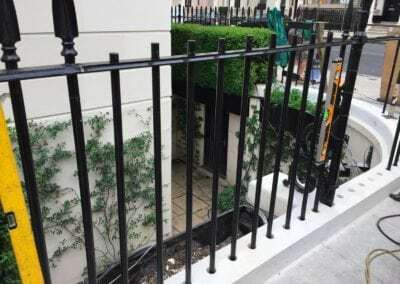 We shot blasted them to ascertain what could be reused and what was beyond repair, cast up new railing sections and back stays, made up new railing bays and painted them black. 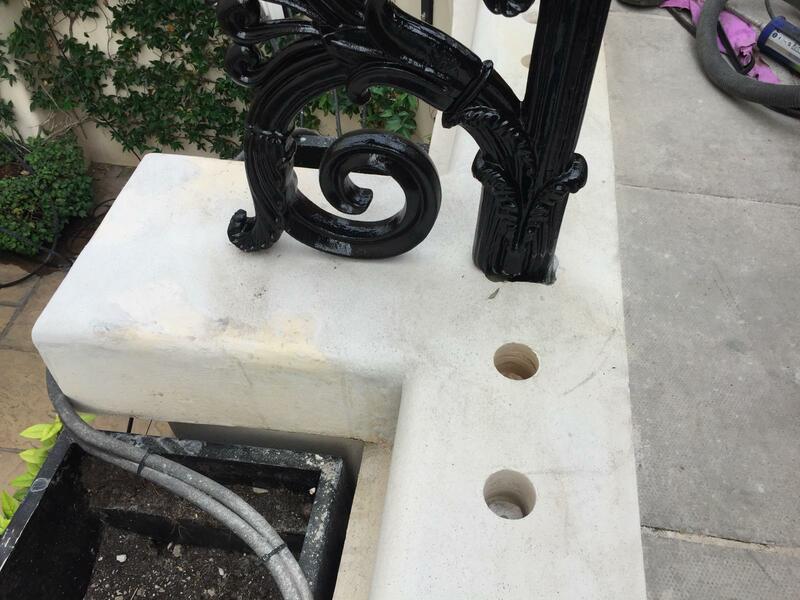 With the two curved planters, we made templates to ensure that our new planters had the same curves as the originals, then fabricated them in aluminium and powder-coated them black. 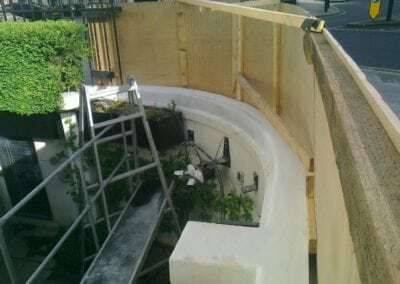 While this was going on the stone plinth was replaced and fixing holes drilled ready for the new railings and back stays to be secured into it. 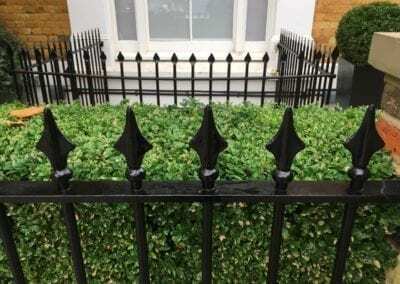 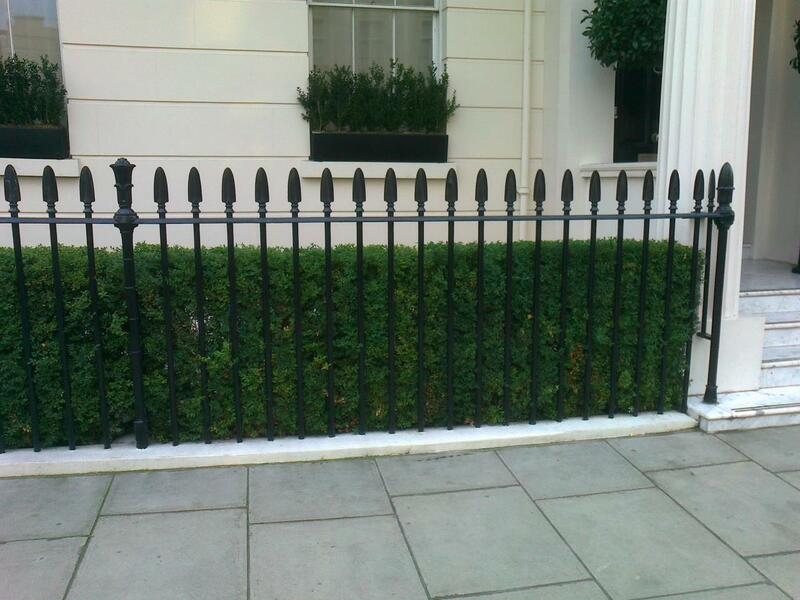 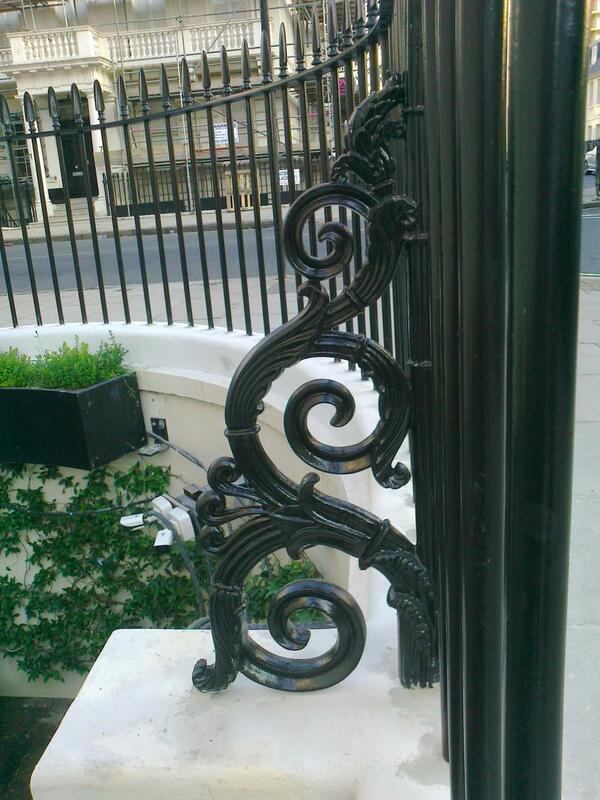 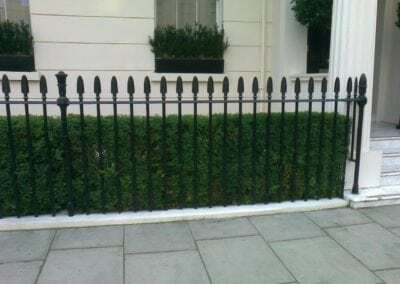 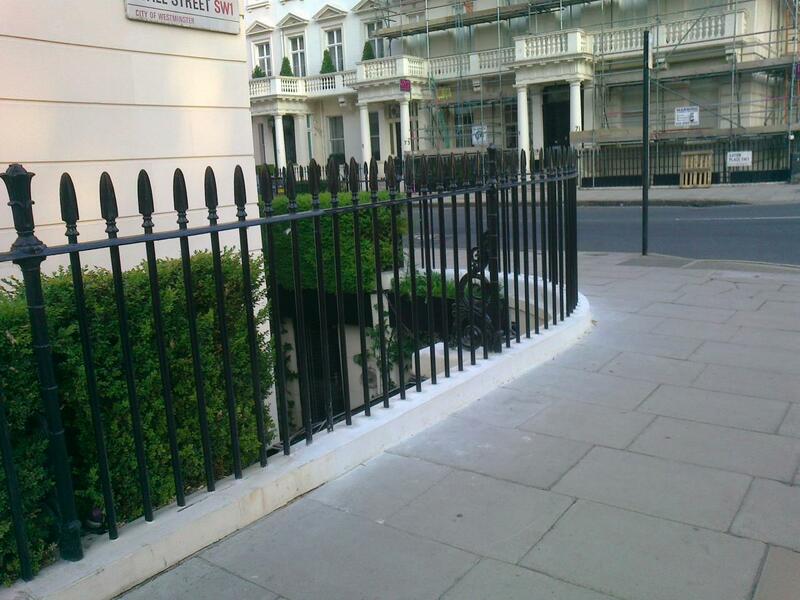 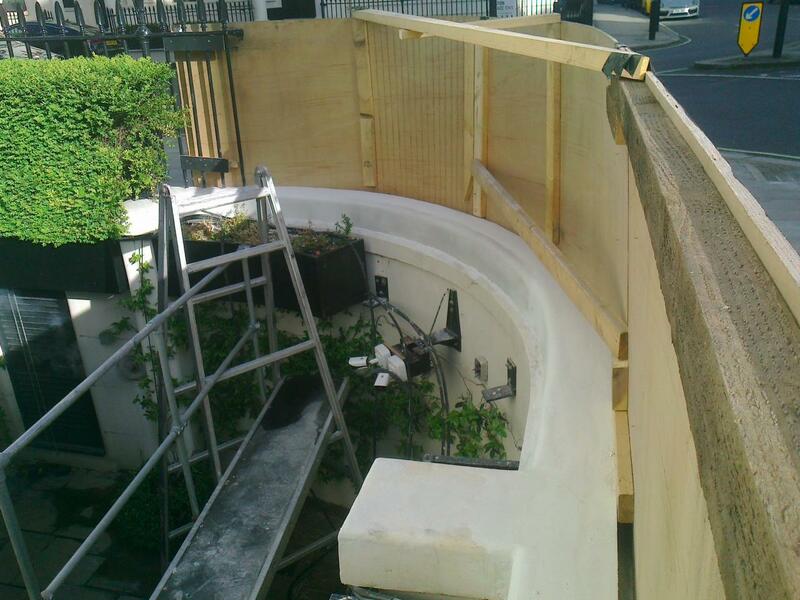 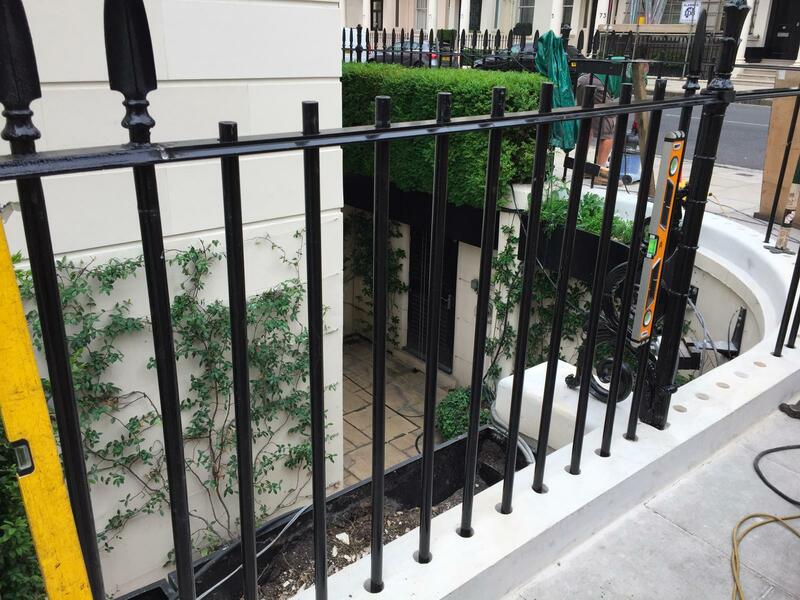 We then took the railings and planters to site and installed them – leaving everything looking pristine.